Stereo receivers once formed the core of practically every audio system. By combining a power amplifier, preamplifier, and AM/FM tuner in one box, they offered the most convenient and affordable way to start a music system. As music fans shifted their focus to streaming services and smartphones, the trusty old stereo receiver was left behind. But finally, newer stereo receivers are catching up to the technological advances of the Apples and Googles of the world—and adding a few tricks of their own. One reason receivers became a rarity in new stereo systems is that audio manufacturers rushed to accommodate the home theater craze of the 1990s, adding video inputs, surround-sound processing, and other features. That’s all great for watching an action movie like Resident Evil on Blu-ray, but useless when you’re listening to a jazz classic like Wayne Shorter’s Speak No Evil on vinyl or CD. Most of those manufacturers ended up with just one token stereo receiver in their line, stripped of cool features and any serious attempt at engineering. Now with traditional stereo coming back into vogue and home theater declining in popularity, some companies are putting more effort into their stereo receivers, adding new ways to access music as well as new features to make that music sound better. You can always use a home theater receiver for stereo, but if all you want to do is listen to music, such a receiver is unnecessarily complicated. The beauty of a stereo receiver is that the only connection you absolutely have to make is to a pair of speakers—yet you sacrifice little or nothing in sound quality to get that convenience. Most receivers incorporate good-quality amplifiers with at least 50 watts per channel of power, and sometimes twice that. A pair of good speakers, connected to almost any receiver, can give you all the fidelity you need to appreciate everything from the subtlest whispers of Eric Dolphy’s flute to the sheer power of Billy Cobham’s kick drums. 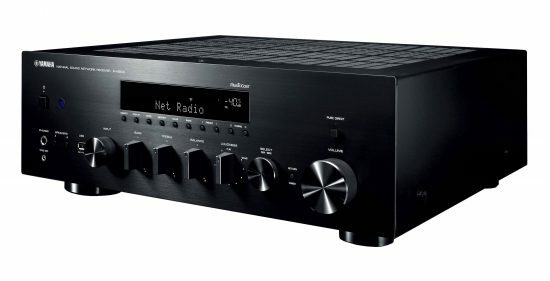 Most new stereo receivers can connect to an old-school turntable or cassette deck as easily as they connect to digital sources such as computers and music streamers. All receivers still combine a power amp, a preamp, and a radio tuner, but most newer models have added more ways to access your music. For jazz fans, the biggest advantage comes with receivers that can pull audio from a home network. This single connection—made through a wire or WiFi—can give you all sorts of possibilities, depending on what’s included in the receiver. It may hook you up to Internet streaming services such as Pandora and Spotify, play music stored on a networked computer or hard drive, and allow the receiver to work as part of a system that plays music in multiple rooms of a home. Most of these receivers also feature Bluetooth, which doesn’t equal the sound quality and versatility of a WiFi connection, but it’s an easy way to connect to a phone or tablet. For example, the Onkyo TX-8260 includes Google’s Chromecast technology, which lets you stream audio from smartphones and tablets to the receiver, and also lets you play music simultaneously through multiple Chromecast-compatible devices. The Yamaha R-N303 offers Apple’s similar AirPlay WiFi streaming technology as well as Yamaha’s more versatile (although proprietary) MusicCast technology. You might also consider an integrated amplifier, which is a receiver without the AM/FM tuner—an increasingly unnecessary feature in the age of internet radio. 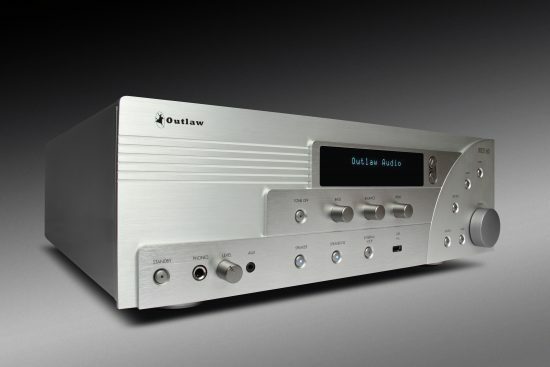 Usually, an integrated amp will have more upscale features. For example, the NAD C 368 integrated amp includes BluOS, a WiFi audio networking technology capable of streaming high-resolution audio files. Still, there are two valuable features found on almost all home theater receivers that are included in only a couple of stereo receivers: subwoofer crossover and auto EQ. A subwoofer crossover offers both an output to connect a powered subwoofer and a switchable filter that keeps the bass out of your main speakers. The filter helps your main speakers play louder, sound clearer, and blend better with the subwoofer. While this feature is in every home theater receiver ever made, it’s currently found on only two stereo receivers I know of: the Outlaw RR2160 and the Arcam SR250. If you don’t use a subwoofer, though, you don’t need this feature. Auto EQ uses a microphone and some built-in test tones to evaluate the sound of your speakers and your room; with that information, it adjusts the receiver’s equalization to improve the sound. Most home theater receivers now include this technology, but the only stereo receivers I’ve seen with it are the Yamaha R-N803 and the Arcam SR250. So while stereo receivers have come a long way, it’s still possible that you’ll have to buy a home theater receiver to get all the features you want. But that’s okay. Many of them are affordably priced, and you can still get great sound even if you ignore all those video inputs and extra speaker jacks.